This App Can Tell You When Your Local McDonald's Ice Cream Machine is Busted | OhGizmo! Every so often, a genius comes around with a revolutionary idea that changes the world overnight. Penicillin, the Polio Vaccine, the Internet are all fine, but they never answered life’s greatest question; is the McDonald’s Ice Cream Machine down? 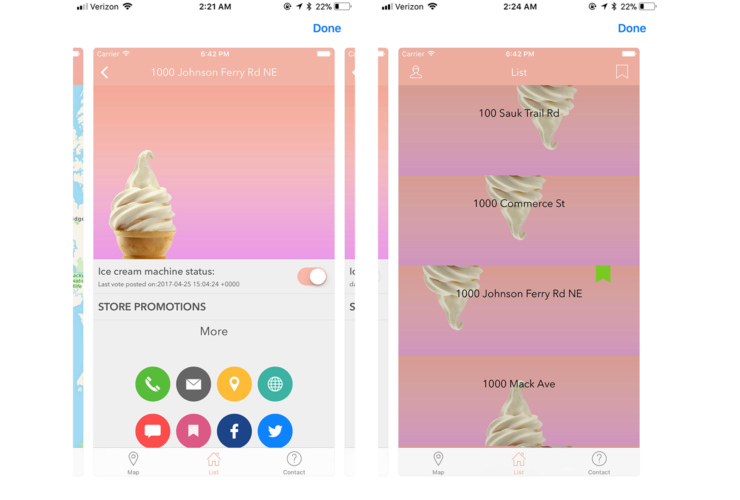 Say hello to Ice Check, an app which allows users to update the status of local McDonald’s Ice Cream Machines. Just like Waze, or gas price apps, other users will bit the bullet and report the status of whether you’ll be able to get that McFlurry, or whether you’re stuck with a 6-piece McNugget. I downloaded the app and the good news is that my nearest McDonald’s has a working machine, the bad news is that the nearest McDonald’s listed is 50 miles away. Bummer. Available now on the iOS App Store for free. The app’s not on Android yet, guess they’re stuck playing the guessing game.